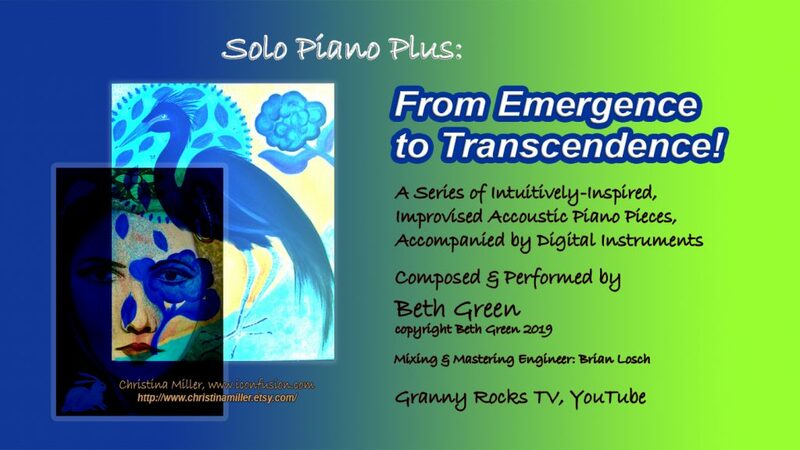 Solo Piano Plus is a series of pieces, where composer Beth Green combines her improvisational acoustic piano music with beautiful digital instruments. The whole playlist is subtitled “From Emergence to Transcendence.” Listen to the three songs she has already completed. The final six songs are being “mixed and mastered,” and we should have them up and ready to share by the beginning of May! The story of Beth’s music is miraculous. Until the age of 15, Beth Green was trained as a classical pianist. Then she became chronically ill and she had to stop. In her mid-fifties, she started working with the computer to create music, but she couldn’t really play the piano. Then, rather suddenly, at the age of 73, she started to play. She and her husband bought a 7-foot Shigeru Kawai SK6, which they call Celeste, and she’s playing a real acoustic piano. A dream come true. She doesn’t know how she is physically doing it, but Beth found that she could play much more easily if she could improvise what she can. So now, she just sits down, improvises and music flows through her. Beth is an intuitively guided counselor, teacher and livestream host. Her intuition is now guiding her again, but through music. In addition to Solo Piano Plus, Beth is creating Soul-O Piano, a playlist of improvised solo piano piece. More information right on this website. Plus she’s offering the very special program Your Personal Song, which you can find on this website as well! Check it out and see if you don’t want one for yourself or a loved one. 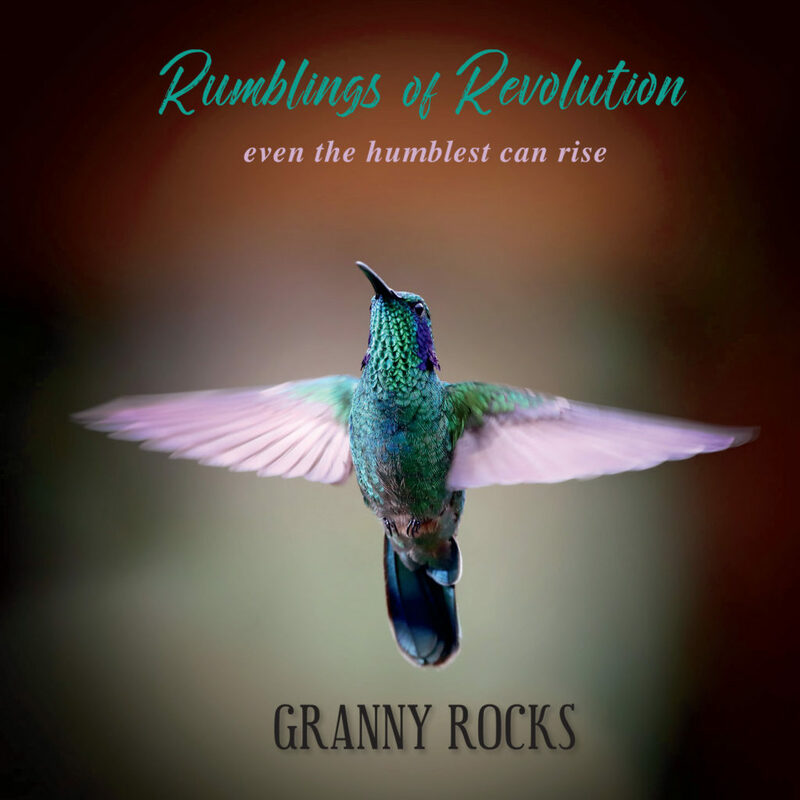 These songs are personally created for you, and you can hear some on her Granny Rocks TV station by clicking on This Could Be Your Personal Song. People have been telling Beth that they love them and that they are amazing! 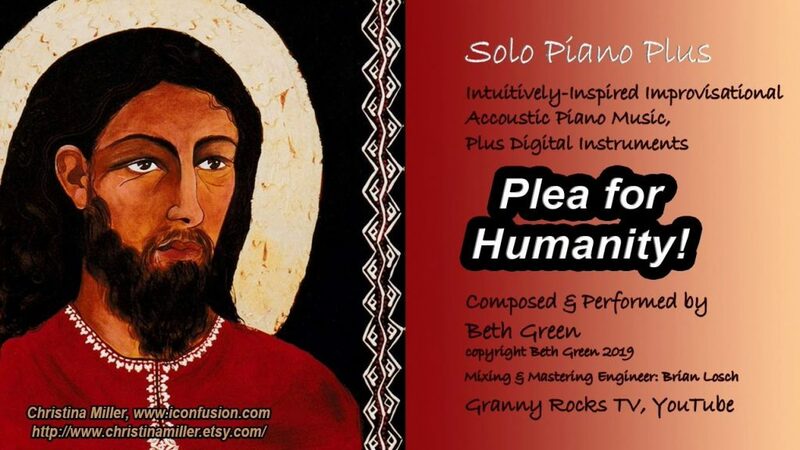 We hope you enjoy Solo Piano Plus and Beth’s other music. By the way, Beth is creating piano improvisations weekly at the PeaceHealth Hospital in Eugene, where she has joined the Sounds for Healing program. She’ll be playing live every Wednesday between 1-2 pm in their absolutely gorgeous lobby! If you’re in the area, come see her.